With the rapid growth of China’s economy, as well as its burgeoning cultural and international influences, the Chinese language is in high demand in the United States and other Western countries. Within all levels of the U.S. education system, the study of the Chinese language is progressing steadily. Brandeis University’s one year Master of Arts Program in Teaching Chinese prepares students to be instructors of Chinese language and culture at colleges or other institutions that offer Chinese-medium content courses. We invite you to learn more about our unique program, which is for students who have already obtained a foreign master’s degree in either teaching Chinese as a foreign language or in overseas Chinese language teaching (while at Brandeis, students will be pursuing their second master’s degree). Prospective students who are interested in obtaining the initial licensure to teach Chinese in a secondary (middle/high school) public school system should research Brandeis’ Master of Arts in Teaching: Chinese program. View a side-by-side comparison chart of the two programs: MAT in Secondary Education (Chinese) and the MA in Teaching Chinese (College Level). Our program prepares students to be instructors of Chinese language and culture at colleges or other institutions that offer Chinese-medium content courses. Read more about our alumni. 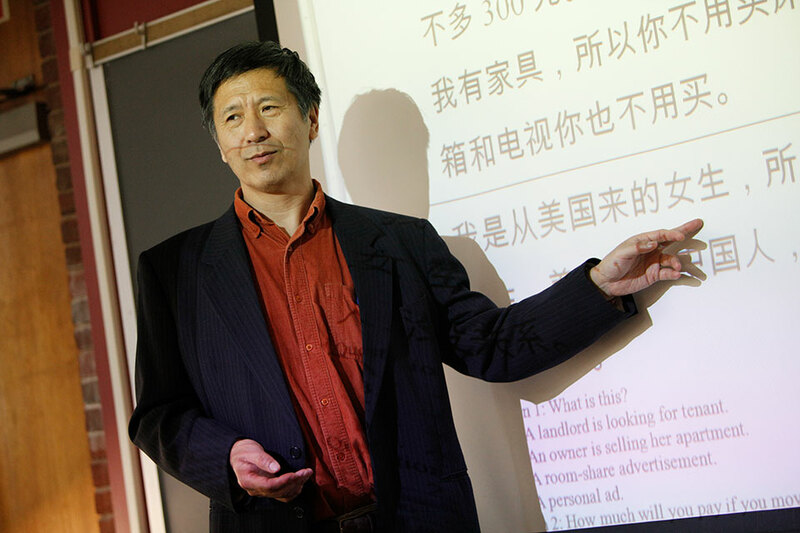 Visit the Graduate School of Arts and Sciences website or email Professor Yu Feng, Director of Graduate Studies.